Do you get amazed by the dangerous places around the world? Is there any curiosity in you about the most bizarre places in the world? If yes, here’s one place that will make you go what?! An island in South America is abandoned to visit because it is surrounded by venomous viper snakes! It’s one of the most dangerous islands in the world. 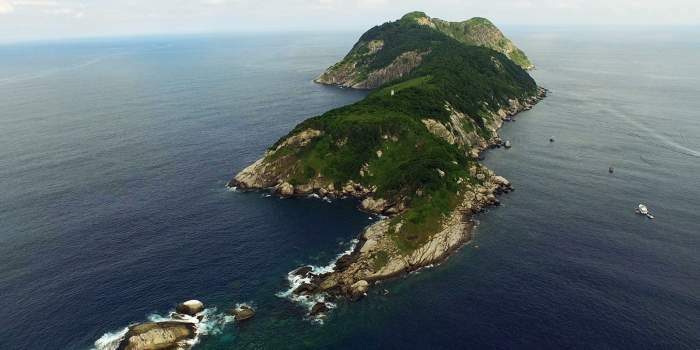 Ilha Da Queimada Grande, located 150 kilometers from the coast of São Paulo in Brazil and is a completely isolated island. Amongst the Brazilian people, it is commonly known as ‘Snake Island’. It is populated by snakes after the distance of every one-meter square and these species exist nowhere else in the world except Brazil. There are some legends and facts about the island, in which primarily a lighthouse keeper and his family were killed by snakes and a fisherman who was found dead in a pool of blood. But no official death has been recorded so far. So, it is absolutely up to you if you want to believe these legends, though we have warned you. And this is all because the island in South America has been banned by the government because it threatens human life. Besides, these snakes are endangered and the government wants to protect this region to preserve such unique species. Also Read: Stun Yourself Seeing These 21 Most Dangerous Islands! Stun yourself seeing these 21 most dangerous islands!